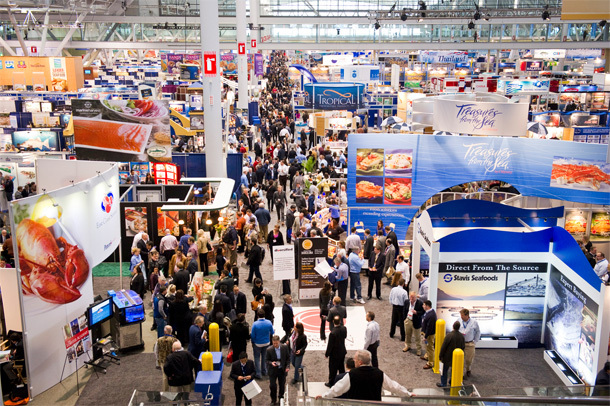 The Seafood Expo North America/Seafood Processing North America 2018 was held successfully and ended on March 13rd. Thousands of companies in seafood industry from all over the world, including First Catch Fisheries, joint the event. 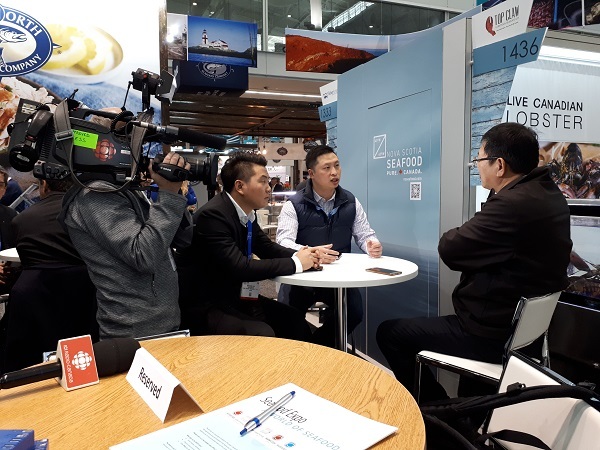 There were 230 companies from China, including Fish Forever, Sunkfa, Zoneco and Guolian.The show was the biggest ever in terms of number of exhibitors. The space of the show took 230230 square feet. 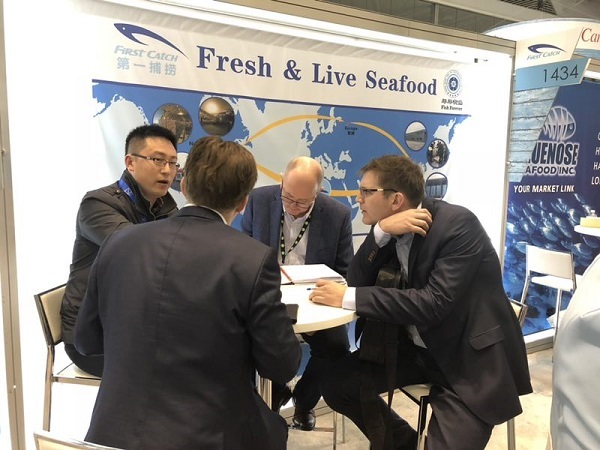 Many products and services in seafood industry could be found in the expo, for example, freshness preservation, refrigeration, live products, etc. First Catch’s booth attracted a lot of protential suppliers and buyers and we had many productive meetings. Freshness is always one important goal in seafood industry. First Catch Fisheries, a Canada incorporation, and Fish Forever, a China-based seafood company, have been working together to deliver seafood via direct chartered flights in its cold-chain transportation system, significantly shorten the time of delivering seafood from place of harvest to dinner table. Our success derives from the advantages that can not be copied. Coorperation with suppliers from all over the world has enriched our product categores; “trace to origin” and “ Pre – clearance offshore” by China Certification and Inspection Group help us ensure the safety and quality of the seafood. 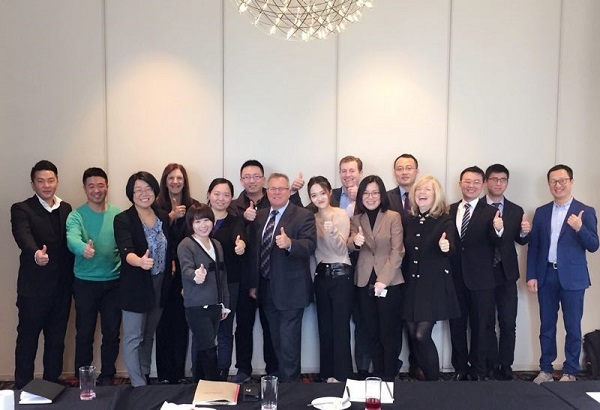 Working together with our partners, we will definitely gain more market shares and satisfy more custmers. 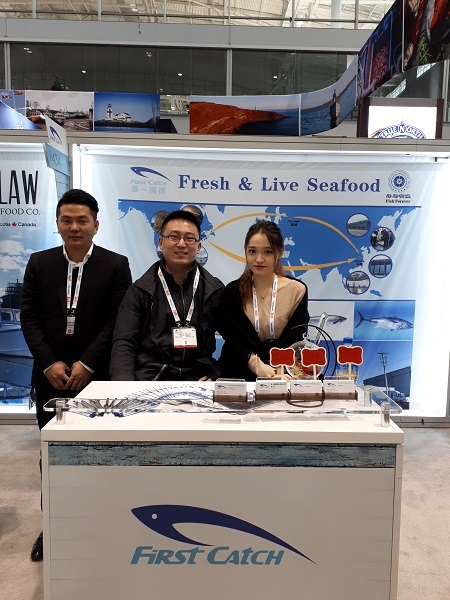 We believe, First Catch Fisheries will become a direct express entry to China for Northe American seafood and Fish Forever Group will become an important channel for other fishery companies from all over the world. We insist on the principle of direct purchasing seafood from the place of origin and keeping it wild and natrual, to work as a diligent courier in seafood industry. Each step towards success is also a motivation. With our mission and goal, we will keep pursuing and making progress without stoping. We prepared for the Seafood Expo carefully and achieved more than what we expected. We will see you next year!